Located in the Biggest Little City in the World, the *Plaza Resort Club* offers an action-packed vacation. 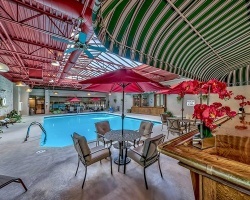 At the hotel, you will find a hot tub and an enclosed pool. A Wi-Fi zone is in the guest lounge. Just a half block away is Wingfield City Park, bordering the Truckee River, where tennis courts, jogging trails, and a picnic area provide outdoor activities. A number of golf courses are close by, and Lake Tahoe is only 39 miles away. Within a 90-minute drive is a large concentration of downhill skiing facilities. Year-round, enjoy the casinos and showrooms that have made Reno so popular. You pay what we paid 12+ yrs ago $99. For years we traded this resort and traveled from coast to coast. Start your own memories here! Price Just Reduced! Beautiful resort overlooking Truckee river! Annual floating week! Buyer may receive a title fee credit, inquire for details!! Floating week in a lovely studio! Experience the casinos and showrooms that have made Reno so popular! Buyer may receive a title fee credit, inquire for details! HIGHLY MOTIVATED SELLER! !Scenic Reno resort overlooking the Truckee River! Buyer receives complimentary closing credit; inquire for details! 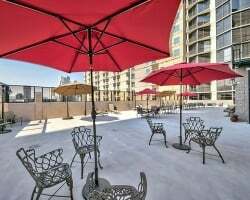 Scenic Truckee River resort near downtown Reno's entertainment district! Yearly floating week! Make your offer today! Floating winter plus season week in exciting Reno! Buyer may receive a title fee credit, inquire for details! Great unit for a couple! Year round resort with activities, no matter the weather! Buyer May Receive A Title Fee Credit, Inquire For Details! Seller is motivated and will entertain all reasonable offers! Buyer May Receive A Title Fee Credit, Inquire For Details! 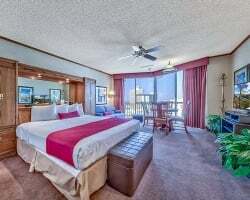 Enjoy any week at this year round resort! Buyer May Receive A Title Fee Credit, Inquire For Details! Annual floating week! Peaceful resort! Buyer May Receive A Title Fee Credit, Inquire For Details! There is no end to the amount of fun to be had at this year round resort! Buyer May Receive A Title Fee Credit, Inquire For Details! Have everything you need close by! Buyer May Receive A Title Fee Credit, Inquire For Details! Fantastic Reno getaway overlooking the Truckee River! Yearly usage in Red season week! Make an offer! Priced low for immediate sale! Spend the winter season in Reno! Great resort away from all the crowds and noise of Vegas. Buyer May Receive A Title Fee Credit, Inquire For Details! Beautiful resort that overlooks Truckee river! Buyer May Receive A Title Fee Credit, Inquire For Details! Discover the natural beauty of the great outdoors! Buyer May Receive A Title Fee Credit, Inquire For Details! Get to choose any week each year! Buyer May Receive A Title Fee Credit, Inquire For Details! Fantastic resort steps from the Riverwalk! Yearly usage in a floating week! Make your offer! Price Reduced! Located in the Riverwalk District with a collection of shops, dining, theatres & more! Buyer may receive a title fee credit! Highly motivated seller. 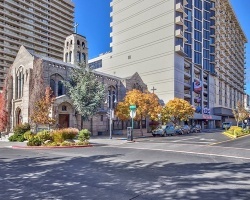 Located in the heart of Downtown Reno's Riverwalk District! Buyer may receive a title fee credit, inquire for details!